Here are the top 5 questions of the week. This series is on eminent persons and places that were in the news recently. Prepare and share these questions as they are very important for forthcoming competitive exams. You can go through the all weekly current affairs series and also top 5 questions of the week. Question 1: What is the name of the Iron Lady of Manipur, who ended her 16 year long hunger strike in Imphal, Manipur? Question 2: Hanif Mohammad who was known also as 'Little Master,’ passed away on 11 August 2016 in Karachi, Pakistan. He was associated with which sports? Question 3: Michael Phelps recently won his fourth consecutive 200m individual medley Olympic title. With this, he became the first swimmer ever to win four consecutive gold medals in the same event. Michael Phelps belongs to which country? Question 4: Who was sworn in as the 16th Chief Minister of Gujarat on 7 August 2016? Question 5: Name the Indian Gymnast who created history by becoming the first Indian gymnast to enter the Olympic final at the Rio Olympic Centre. Question 1: B, Irom Chanu Sharmila, the Iron Lady of Manipur, on 9 August 2016 ended her 16-year-long hunger strike outside the Jawaharlal Nehru Institute of Medical Sciences in Imphal, Manipur. Question 2: B, Hanif Mohammad was a Pakistani cricketer. Question 3: C, Michael Phelps belongs to USA. Question 4: C, Vijay Rupani, was sworn in as the 16th Chief Minister of Gujarat. 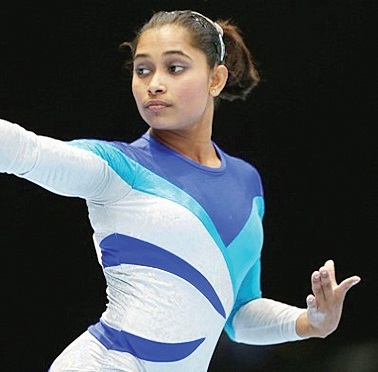 Question 5: D, Dipa Karmakar, become the first Indian gymnast to enter the Olympic final at the Rio Olympic Centre.